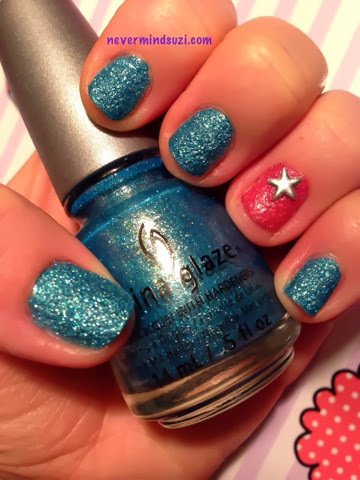 China Glaze - Seahorsin&#39; Around &amp; Shell We Dance? After being disappointed with China Glazes Collections for 2013 (though it's their own fault they set the bar super high in 2012 with the likes of the Hunger Games Collection), they've finally upped their game. Here we have the Goddess Collection. A selection of colours that make me think of mermaids with textured finishes these are gorgeous! Seahorsin' Around is a shimmery sea green. A sparkly textured finish and golden shimmer throughout. This reminds me of a mermaids tail, well Ariel's to be specific. 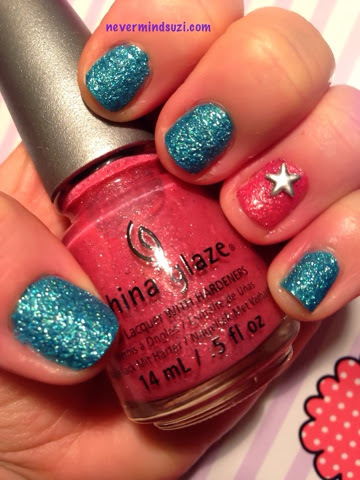 Shell We Dance is a bright pink with a similar sparkly textured finish except it has silver shimmer. 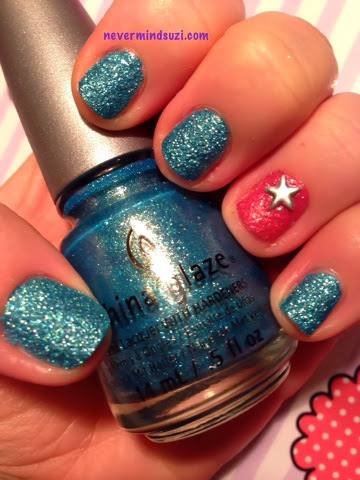 Couldn't resist continuing the ocean theme by adding a little star stud (that I got in a set from Born Pretty Store).